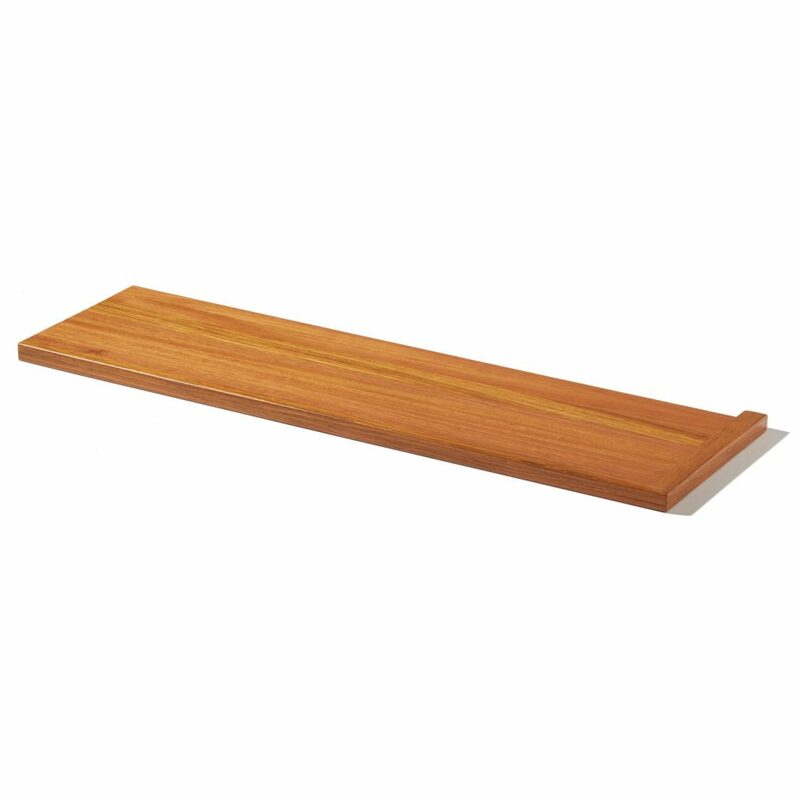 In true craftsman style, the 8072 Craftsman Stair Treads are functional and sturdy, with simple lines. The clean design of these treads allow the natural beauty of the high-quality wood to shine through. Choose from over 20 different wood species and our experts will thoughtfully craft and apply finishes to meet your exact specifications. Enjoy the 8072 Craftsman Stair Treads with other craftsman stair components, including the StairSupplies™ Craftsman Series Box Newels. Any side of the 8072 Craftsman Stair Treads that will not touch a wall is fitted with craftsman-style trim. Returned Edges cover end grain, while also adding decorative flair. There are three configurations of returned edges available to cover the exposed edges of 8072 Craftsman Stair Treads: Left, Right, and Double. NOTE: If both sides of the stair treads fit against a wall, you do not need returned edges. On average, how many pieces are glued to make each tread? It all depends on the lumber we get in for your order. We obviously cut around knots and defects in the lumber, so sometimes it can be made in as few as 3 pieces, and other times it can be as many as 6 pieces. Is it possible to order this style (unfinished oak) with no returns in a 1-1/2″ thickness? Jennifer, thanks for the question. 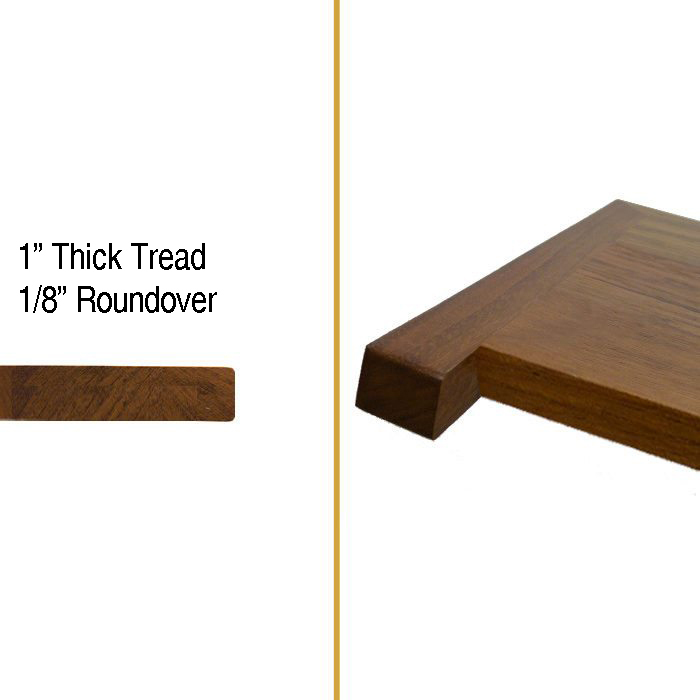 You can definitely get a stair tread in that style at the custom 1-1/2″ thickness using our custom tread builder at https://www.stairsupplies.com/product/custom-thick-treads/. To match the Craftsman style, just specify a 1/8″ roundover. You can also call one of our specialists at (866) 226 6536 to make sure you get exactly what you need. Which landing treads and risers go with the 8072 stair treads? Thanks for the question William. 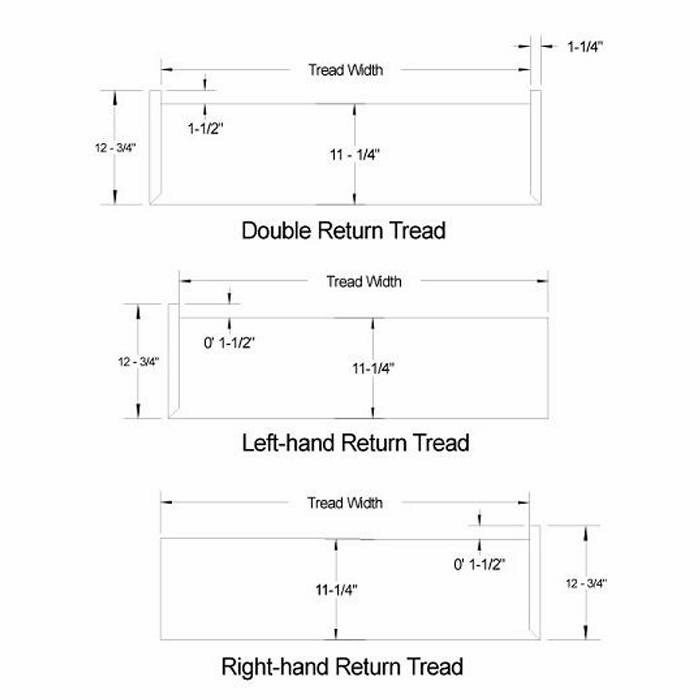 You can use the 8092 landing tread (https://www.stairsupplies.com/product/8092-craftsman-landing-tread/) to match the stair tread. 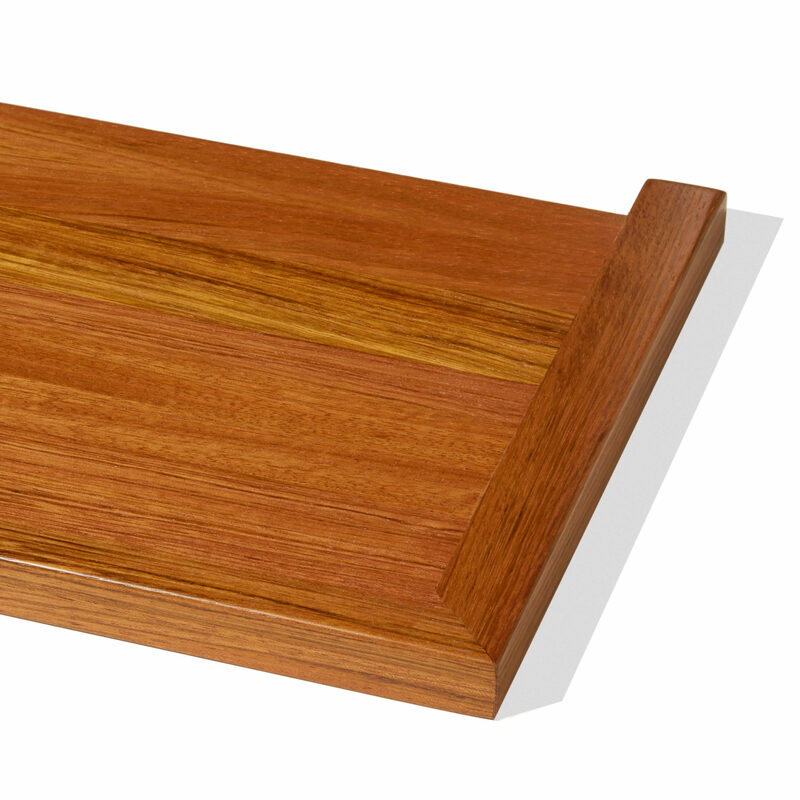 A riser is typically just plain wood, there’s not a particular style to it. Thank you for the question, Phil. We do not keep any of our treads as stock items. They are all custom-made for each individual project because of the unique specifications required by every stairway.